The NASA’s Juno travelled 445 million miles in the space to the Planet Jupiter than any other spaceship in the Human history. It is one of the historical monument for the NASA. Where now it is in the 53-day elliptical orbit around the planet. Determine the water level in the Jupiter. Measure the composition and temperature of the atmosphere. The Level of Magnetic force. 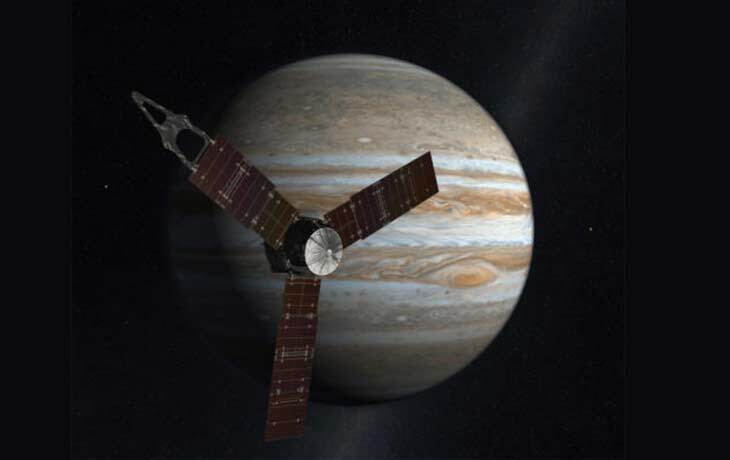 As per the schedule, the Juno spaceship will re-orient itself toward the sun to recharge the batteries at 12:30AM ET. Stay tuned for More Tech News and Updates!